Elf Accessory Set for Miniature Fairy Gypsy Gardens. Where would Christmas be without Santa's elves? 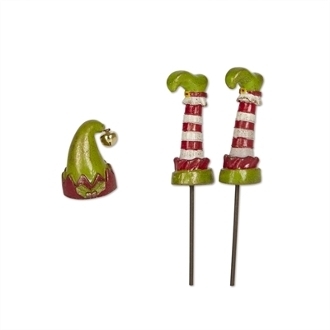 This whimsical set of 3 elf items can bring a touch of Christmas cheer into your mini garden.